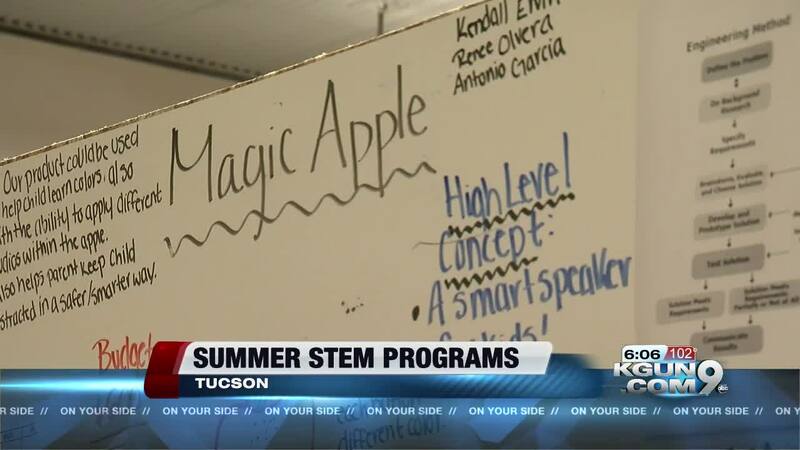 The sounds of summer vacation are changing for some students in Pima County as they spend afternoons in a classroom and workshop trying to earn a scholarship. Two weeks later, ideas have now turned into physical prototypes. Bryce Lang and his team are building a wireless phone charger for a vehicle. They're building it out of products available online, like a camera tripod, and camera case, and constructing it themselves. “There are so many steps and ways, that I had no idea about, to verify you have a legit idea,” Lang said. On the next table, Renee Olvira and her group are working to build a programmable child's toy. They hope it will be able to play changeable audio files with the push of a button. She says the chance to win money for school motivates her. “It would mean a lot because I come from a low-income family. I'm first generation to go to college and that's my goal to make it into college and make it into medical school,” she said. Teams of three to five students will create a product, almost anything they can think of, and pitch it to judges who will select a winner during a competition at the end of June. More than a dozen students from area high schools are participating in the program sponsored and owned by S.Y.STEM Coalition , which partners with Joint Technical Education District (JTED) to help run the program which is called "Junior Shark Tank" and loosely modeled after the hit show. The winning team splits a $5,000 scholarship. “I was a little overwhelmed because I have seen Shark Tank,” said Vianna Grijalva, who will be a senior at Tucson High School in August. On the second day of the program Grijalva and her team were discussing an idea for a portable laptop charger. “I got the idea from my phone case,” she said. 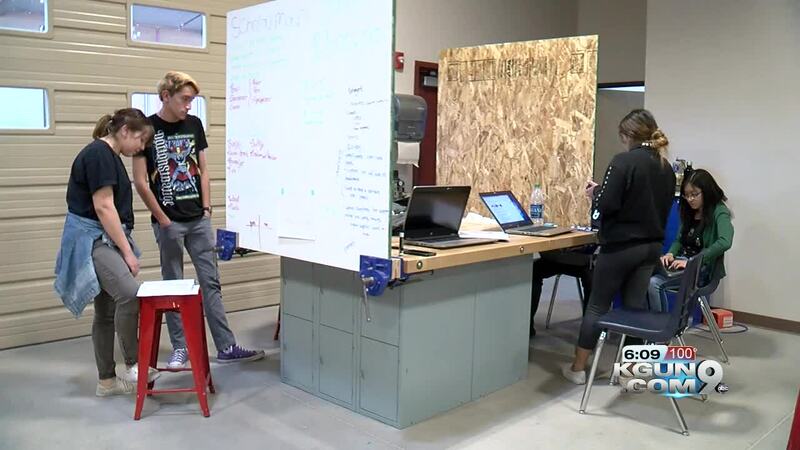 Across the room, Nathan Miller, who will be a senior at Flowing Wells High School this school year, has an idea for a website that connects students and scholarships. “College is really expensive now, that’s the basis of our idea,” Miller said. JTED is a county-wide district that provides vocational training to students. The "Junior Shark Tank" program is housed in a classroom and workshop facility north of Star High School, near 12th Ave. and Irvington Rd. Professional mentors help teams develop their idea. JTED professor Billie Moon works to keep students engaged and thinking about their future beyond this summer. She says the program environment helps teens build confidence in their abilities. “This is Day Two and these students have already got some confidence and have learned a lot about themselves that they didn’t know,” Moon said. Grijalva says she is eager to spend a summer here to get a head start on her future.